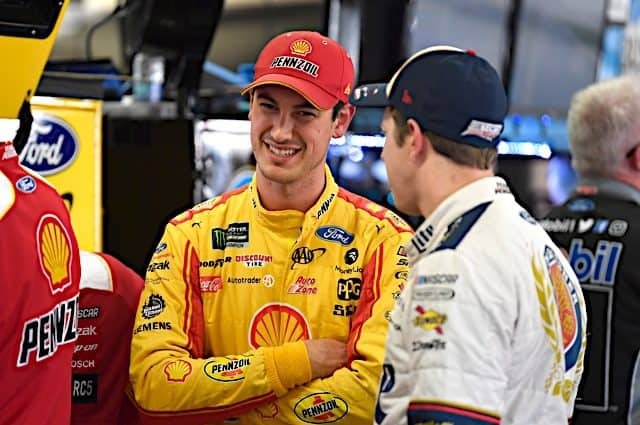 How The Rankings Are Calculated: Frontstretch does their power rankings somewhat similar to how the Associated Press does them for basketball or football — writers on our staff will vote for the Top 20 on a 20-19-18-17-16-15…3-2-1 basis, giving 20 points to their first place driver, 19 for their second, and so on. In the end, Mike Neff calculates the points, adds some funny one liners, and…voila! You have the power rankings from our dedicated staff. 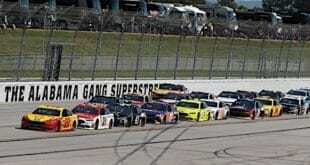 Talladega was clearly not the parade that everyone saw last fall when the new car design hit the superspeedway for the very first time. 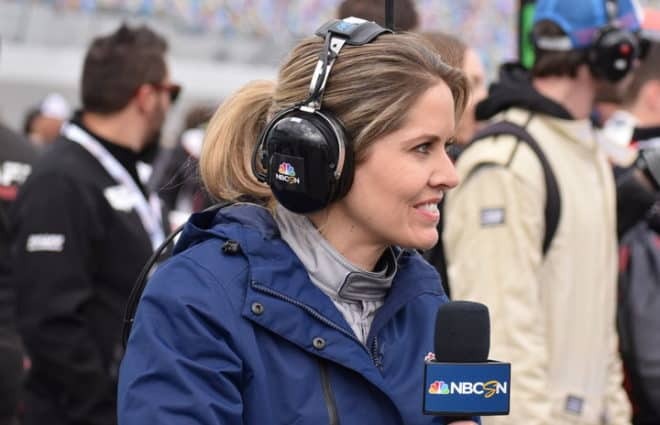 There were 52 lead changes recorded at the start/finish line Sunday, and a multitude more on the track as the Car of Tomorrow seemed to come into its own. As usual, large wrecks did play a role in who finished and who didn’t, while the art of the draft was key to drivers maintaining success up front. But when push does come to shove, a lot of how Talladega turns out is pretty much a crapshoot more than anything else. 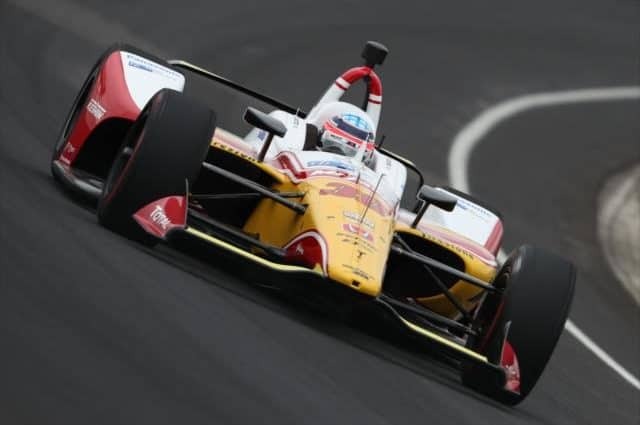 So, while putting together the Top 15 this week, some staff voters gave drivers credit for their efforts on the plate track… while others seemed to discount the luck involved in finishing up front. 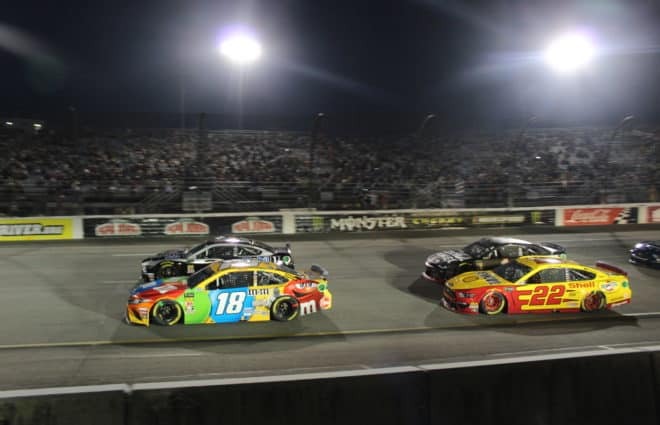 Read on to see if you agree or disagree with their latest choices in the Frontstretch Power Rankings below. Survived the Talladega carnage for a Top 12 finish to retain the points lead. The most talented driver in NASCAR across the board. Don’t believe it? Check the scoreboards. Could have pushed Ms. Daisy to the front on Sunday. At some point, not winning is going to bother Junior. Trust us…it will. 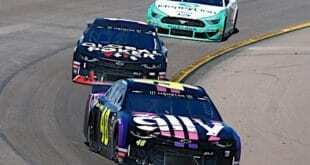 A rare moment for Johnson at Talladega; he didn’t win OR cause a wreck! Seventh in points, yet third on his own team; who said life was fair? Should’ve been carrying a Home Depot tape measure to measure that spot he went for in the late stages of the race. Just happy to still be walking after getting up close and personal with Kevin Lepage. Starting to look like the Harvick of old as of late; unfortunately for him, that is not a good thing. New key found to Montoya’s success; pair him up with a crew chief with an accent, so neither one can understand each other! 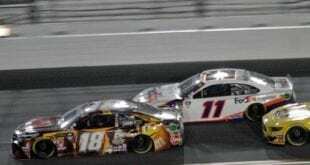 Biffle hates restrictor plates, but he’d better learn to like them; you’ll never win a championship if you can’t finish four races on the schedule. A Pepsi paint scheme can’t even get him to Victory Lane; at this point, what will? The sophomore seems more comfortable each week with the guidance of crew chief Jimmy Fennig. From borderline qualifier to Chase contender, all in just 12 short months! Writers Voting This Week: Tom Bowles, Cami Starr, Mike Neff, Tony Lumbis, Matt Taliaferro and Bryan Keith. Previous Richmond: The Best Of The Rest! 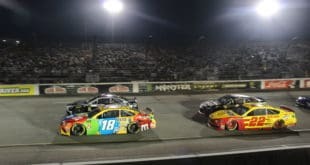 Next Mirror Driving: Did Busch Pass Below The Line? Will Tony Stewart Leave? And Will Lepage Ever Regain Respect?